With InLoox, all departments speak one language. 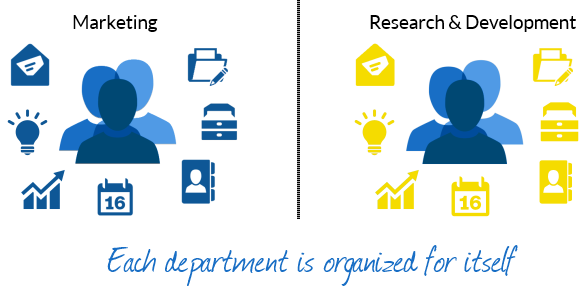 Each department is organized for itself and uses isolated tools. Things become difficult if people from different departments are supposed to work on a project together. In that case, they have to compile data from different systems. Information gets lost easily in this scenario. Team members don't know exactly what their colleagues from other departments are currently working at and if they make progress. 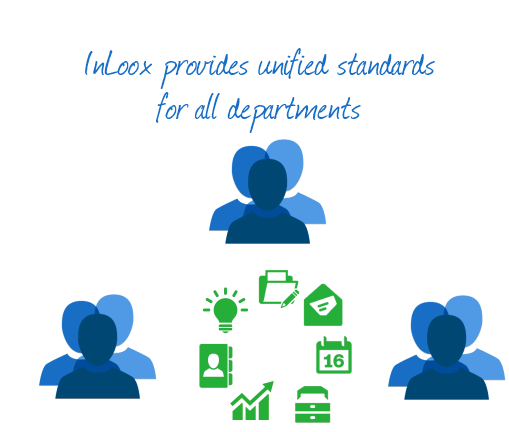 InLoox is a solution that can be used across all departments and industries. All relevant milestones, key figures, tasks, budgets, and contacts are available in one central platform for all team members. The well-proven permission system makes sure that team members only have access to the information they are supposed to see. This makes collaboration across departments really easy and media breaks are a thing of the past. Effective Project Collaboration Across Your Company • Copyright 1999-2019 © InLoox GmbH. Tous droits réservés.